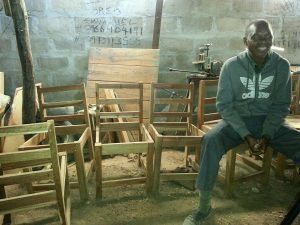 Victor has been able to grow his carpentry business through a series of CEMFIN micro-loans. His employees include three young men who are deaf and mute. You can support CEMFIN as they extend the kingdom of heaven to the materially poor in western Zambia. CEMFIN offers micro-loans and spiritual encouragement to around 250 micro-entrepreneurs. The 2019 Zambia Fund would like to make a grant of at least $20,000 to CEMFIN to build their capacity to empower more micro-entrepreneurs. 100% of your donation will go to CEMFIN.